Assalamualaikum & salam sejahtera everyone. 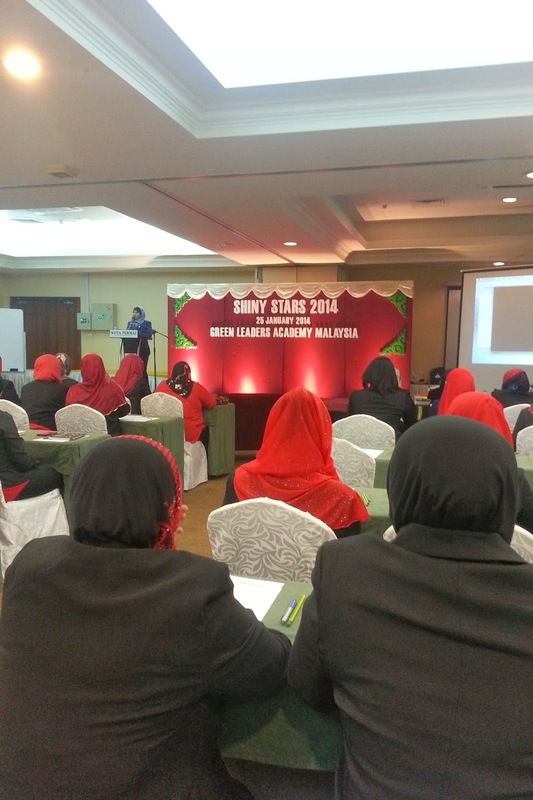 Alhamdulillah semalam sudah pun berlangsung our very first seminar of the year 2014 which we called it Shining Stars 2014 at Kota Permai Golf And Country Club. This seminar was conducted especially for business partners yang berpangkat Sales Manager & Senior Sales Manager in our team. Hasil gabungan The Diamond Circle & Team Aces, we managed to facilitate this seminar with total numbers of participants close to 100! Alhamdulillah. 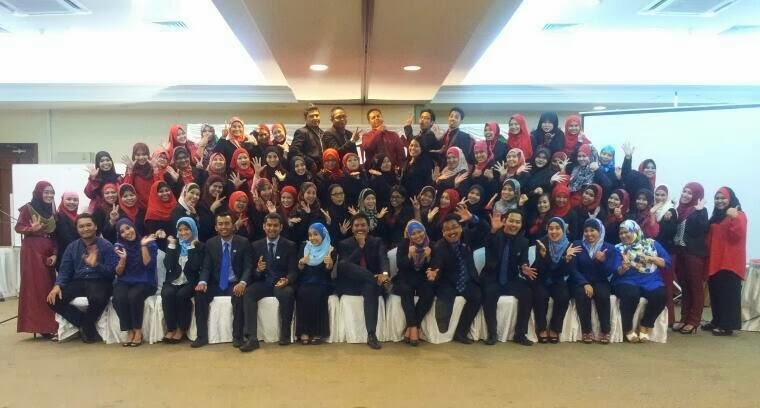 For us in Green Leaders Academy Malaysia (GLAM), knowledge is very very very important in order for you to success. Without knowledge, you can't go anywhere. So hopefully this seminar has helped our business partners a lot to expand their business. Big congratulations to all partners who came from all over Malaysia. Utara, Selatan, Pantai Timur semua ambil peluang untuk hadir biarpun ada yang menghadapi dugaan dan cabaran, tapi disebabkan dalam diri mereka ada WILL POWER yang sangat kuat, yang susah menjadi mudah. Tahniah sekali lagi! 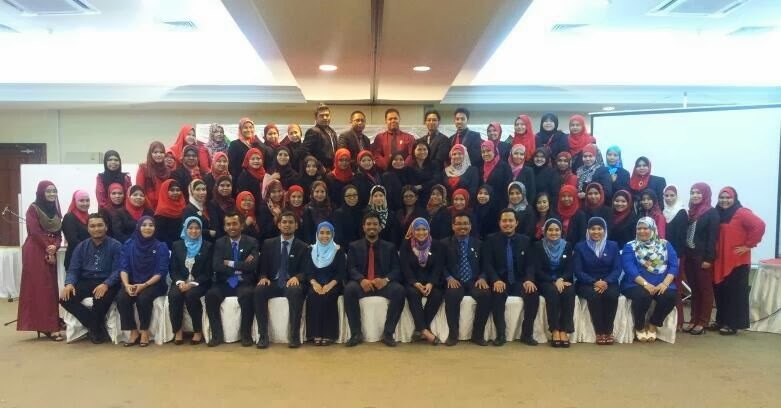 Special thanks to our mentors CDM Shaliza Aziz and CDM Sha Khalid whom initiated the seminar for all of us. Both of them came from different background, but success together with GLAM. Setinggi penghargaan kepada barisan pemimpin yang telah berkongsi ilmu & pengalaman sepanjang seminar semalam, well obviously we have all dedicated leaders full of knowledge and experiences to train and guide us. The first topic was Takwin 2014 presented by our 'kecil-kecil cili padi' CDM Sha Khalid, an ex-IT Engineer turn to fulltime GLAMpreneur with monthly income 5 figures per month. Within 4 months doing this business she managed to transform her Perodua Viva into Mercedes Benz C200! At that time, she just doing business as part time. 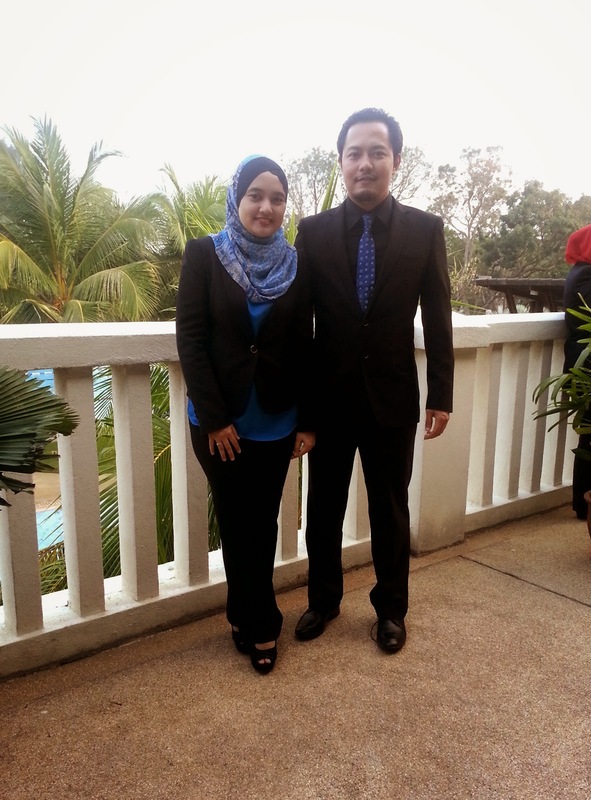 A mom of 2 kids, a wife, a leader that inspired us with her achievement together with the team. This business has transformed her life in total and to her family too. If she can do it, why don't us? The third topic was presented by my beloved mentor CDM Shaliza Aziz. Insan yang bertanggungjawab membawa kami suami isteri ke dalam bisnes ini. She was ex-banker, turned to fulltime GLAMpreneur in less than a year doing business. From driving Perodua Myvi, now she has her owned BMW 3 series (the brand new), all from this business!. With 5 figure monthly income, travel freely to 9 countries, she is such a dedicated leader who always think and do the best for our team. the pioneer of Social Media Marketing technique in Hai-O bringing GLAM and network marketing business into another higher level. Alhamdulillah, thank you CDM for your endless support & hard work. He really walk the talk! 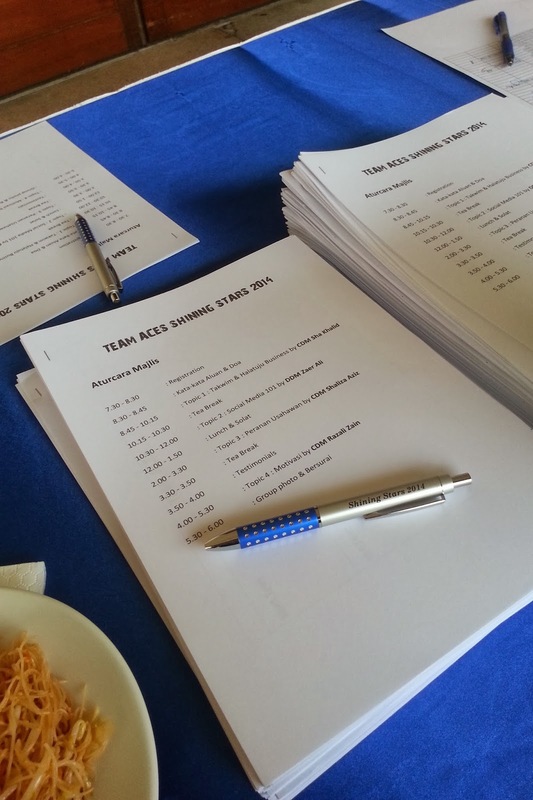 And to all AJKs yang bertungkus-lumus untuk menjayakan seminar Shining Stars 2014, you did very well!! Nantikan full story ya. InsyaAllah will share with you soon. Be part of us today! We have more events and seminar to come.